Toya's Hair Tips: How To Have The Softest, Silkiest, & Bounciest Hair EVER! 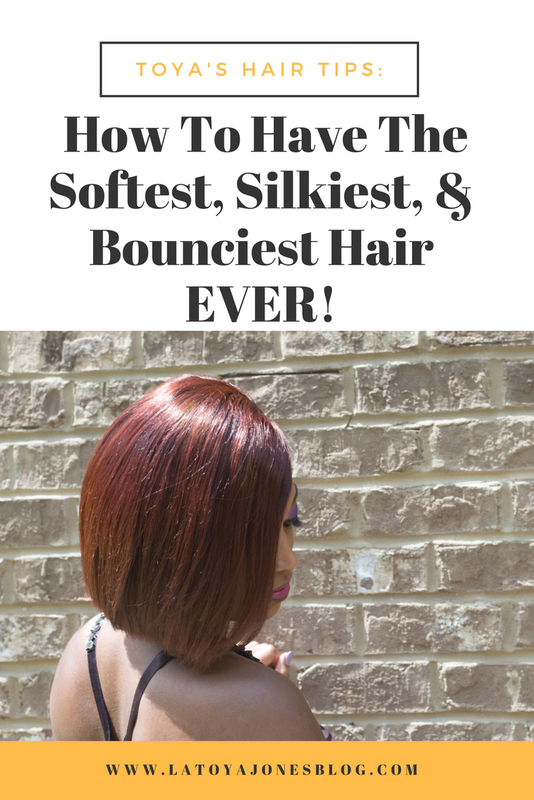 "How do I get soft, silky, & shiny hair with lots of body? We all want that hair that moves whenever the wind blows, is super shiny, and is ultra soft and silky. Well today I am here to tell you exactly what to do to get the hair that you have always wanted. First, in order to have soft hair, silky hair, shiny hair, and hair with body, it all starts with the hair products that you use. Silk Hydration by L. Jones products were created for the sole purpose of giving you hair like this. First, you would start with the clarifying shampoo called Extreme Clean because it gets all of the dirt, oil, and any product build up off of your hair. This gives you a clean slate of hair to work with. Second, you would shampoo again with the moisture shampoo, which is called Extreme Moisture. This begins the process of depositing the good moisture back in the hair. Next, you would move on to the conditioner, which would be the Replenishing Conditioner. This softens the hair up dramatically. To add even more moisture, next you would add a the Leave-In Conditioner. After that, you simply dry your hair and style. Once you get done, spray a little shine spray (Miracle Potion no9) on your hair and just like that you have lustrous, silky, soft, and bouncy hair!